Due to the low toxicity, easy synthesis, rapid elimination, and less side effect, more and more peptide inhibitors are emerging as the effective drugs that are clinically used in therapies of a number of diseases. At the same time the computer-aided drug design (CADD) methods have remarkably developed. In this mini review the newly developed peptide inhibitors and drugs are introduced, including peptide vaccines for cancers, peptide inhibitors for HIV, Alzheimer’s disease and related diseases, and the peptides as the leading compounds of drugs. The recent progress in the theory and methodology of peptide inhibitor design is reviewed. (1) The flexible protein-peptide docking model is introduced, in which the peptide structures are treated as segment-flexible chains using genetic algorithm and special force field parameters. (2) The “Wenxiang diagram” is illustrated for protein-peptide interaction analysis that has been successfully used in the coiled-coil interaction analysis. (3) The “Distorted key” theory is reviewed, which is an effective method to convert the peptide inhibitors to the small chemical drugs. (4) The amino acid property-based peptide prediction method (AABPP) is described that is a twolevel QSAR prediction network for the bioactivity prediction of peptide inhibitors. 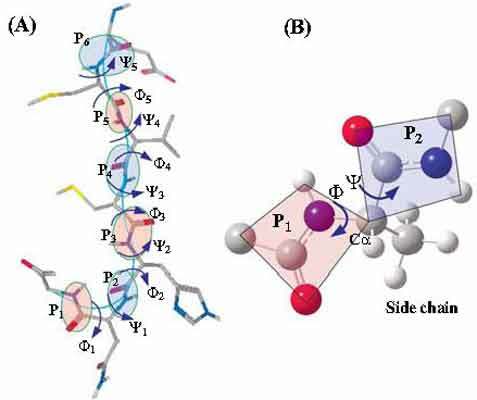 (5) Finally, several types of molecular interactions between protein and peptide ligands are summarized, including cation-π interactions; polar hydrogen-π interactions; and π-π stocking interactions. Peptide inhibitors, rational drug design, protein-peptide docking, wenxiang diagram, distorted key model, peptide QSAR model, amino acid interactions. State Key Laboratory of Nonfood Biomass and Enzyme Technology, National Engineering Research Center for Non-food Biorefinery, Guangxi Academy of Sciences, 98 Daling Road, Nanning, Guangxi 530007, China, and Gordon Life Science Institute, 53 South Cottage Road, Belmont, MA 02478, USA.